There’ll always be an England in one small corner of Georgetown. Every fandom has its debates. Gryffindor vs Slytherin. Edward vs Jacob. Angel vs Spike. Fans of Jane Austen tend to be a civil bunch, disinclined to wage the sort of rough and tumble debate that thrives on the internet. Although, much as I like Colin Firth, whose 1995 portrayal of Mr. Darcy in the TV series raised the bar for repressed heroes everywhere, I think we can all agree that the 2005 Keira Knightley/Matthew Macfadyen film version of Pride and Prejudice was as close to perfection as we are likely to see. Ever. However, that doesn’t stop us from allowing our modest hopes to rise every time some trailer bursts on the scene announcing a new take on the works of Miss Austen. Thus, when I saw the wacky clips from the 2013 spoof Austenland, I couldn’t help hoping it would at least be watchable. After all, the cast included Keri Russell, Jenifer Coolidge and Bret Mackenzie, all gifted actors adept at light comedy. It seemed reasonable to expect something entertaining. To be fair, the movie wasn’t terrible. But it was no moon shot. In spite of an amusing premise — a modern American woman visits an Austen theme park in England in hopes of finding her own Mr. Darcy — the film managed to shoot itself in the slippered foot. Yet of course, Austennut that I am, I still enjoyed it. It’s comforting to believe that there are other people similarly obsessed with the carefully edited and beautifully observed world of Austen’s novels. I had only the sketchiest idea about her work when I went to college. But there, while seeking respite from the weighty work of Aristotle and Plato, I came across an old copy of Pride and Prejudice in the college library. From the famous first sentence I knew she was The One, the writer I could count on to soothe my soul and provide escape from the fractious static of the so-called real world. People who don’t enjoy fiction must, I presume, find other ways to negotiate the sticky parts and sharp curves that give life its curious flavor. But for me, fiction has always been essential. I’ve never been to England. I don’t know if I’ll ever be able to make the trip to visit the places Austen describes. Perhaps those places don’t exist anymore, at least not in the way they did when she was writing. But I know how I’ve always seen them in my mind. Recently I discovered a place right here in the District that comes close to that imaginary ideal. On a surprisingly secluded 5-1/2 acre property at the northern edge of Georgetown, Tudor Place offers a serene glimpse into the past. 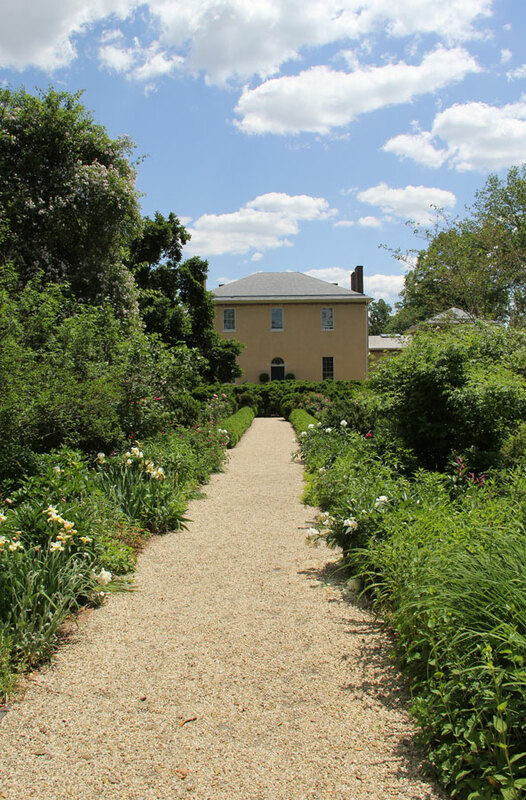 In the gardens, especially if you are an Austen fan, you can easily imagine Elizabeth Bennet strolling the gravel paths, enjoying the roses and the grand trees, while musing on the perplexing business of human emotion. And perhaps hoping to bump into Mr. Darcy in the shrubbery. 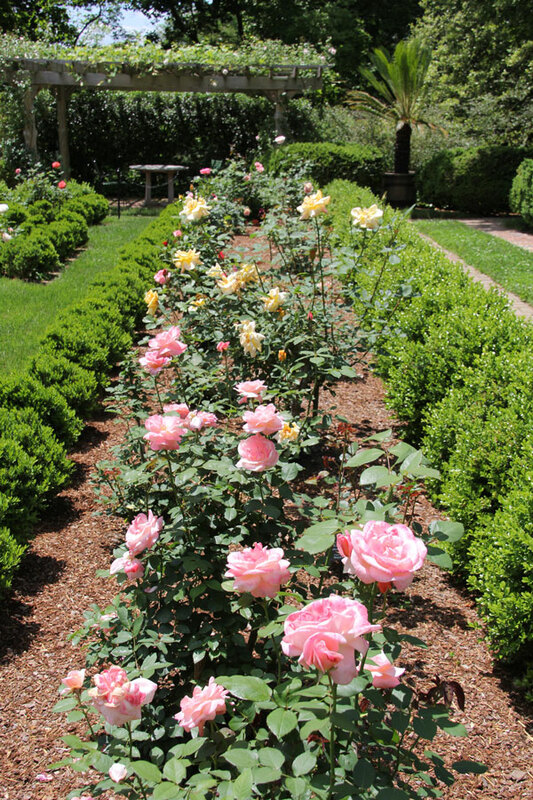 Old roses thrive in the sunny knot garden. 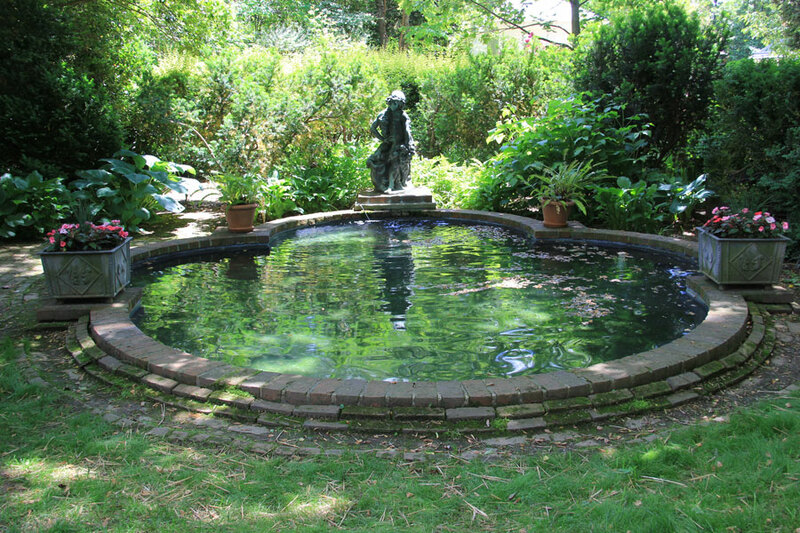 At the end of the bowling green a shady pool offers a perfect spot for a tryst. 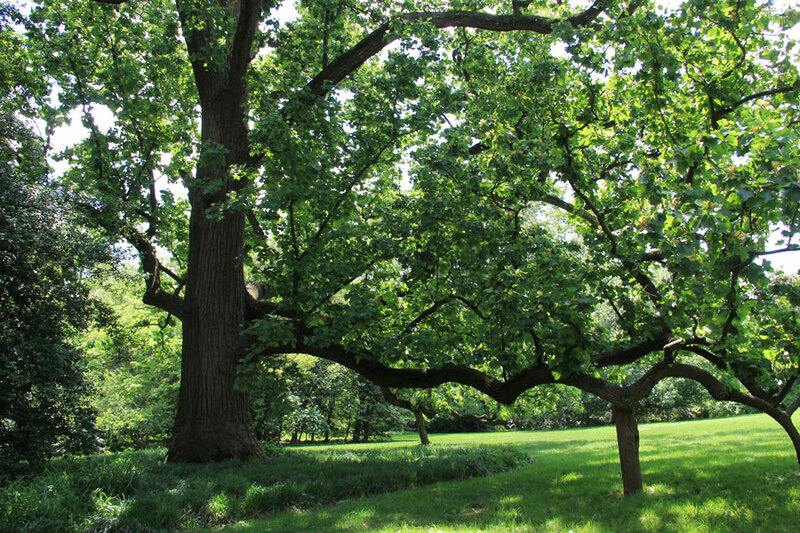 This “Millennium Landmark Tree” on the lawn is more than 200 years old. Jane would have loved it. 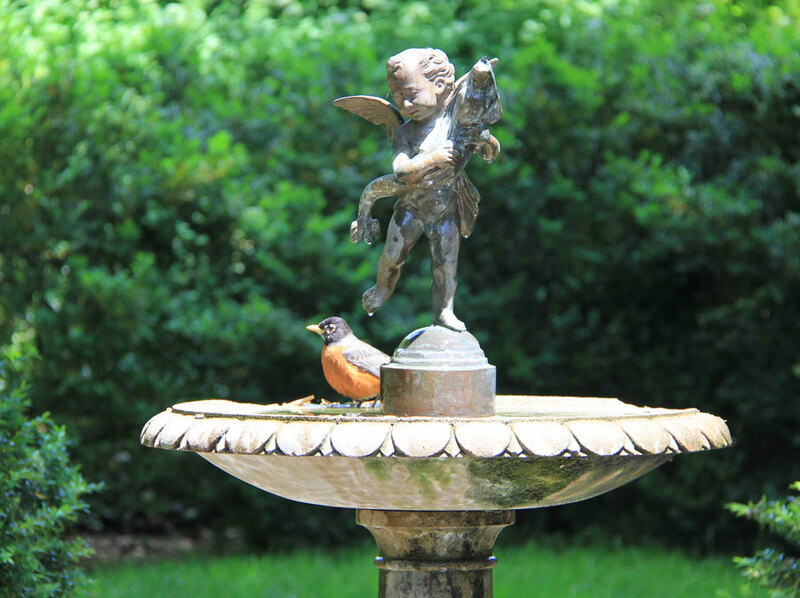 The song a robin sings plays on at Tudor Place.